Addressing the community’s greatest health risks and underlying determinants of health are at the heart of Virginia Mason’s Community Benefit program. The collaborative work with public health, hospitals and health systems, social services, housing organizations and others is to identify the community’s priority health needs and develop strategies to address them. Our priority health needs as defined in the 2016-2018 Community Health Needs Assessment (CHNA) include access to care, behavioral health and preventable causes of death. While Virginia Mason uses data gathered from studies, surveys, interviews and focus groups in the CHNA and accompanying implementation plan, Community Benefit is ready to assist the unanticipated needs of our local and global communities. In 2017, that commitment included supporting immigrants from around the globe, including those from countries that were on an “immigration ban” list. Community Benefit reached out to the International Rescue Committee (IRC), a nonprofit that assists refugees in Seattle, and offered to support the immediate health needs of refugees and immigrants in the community. 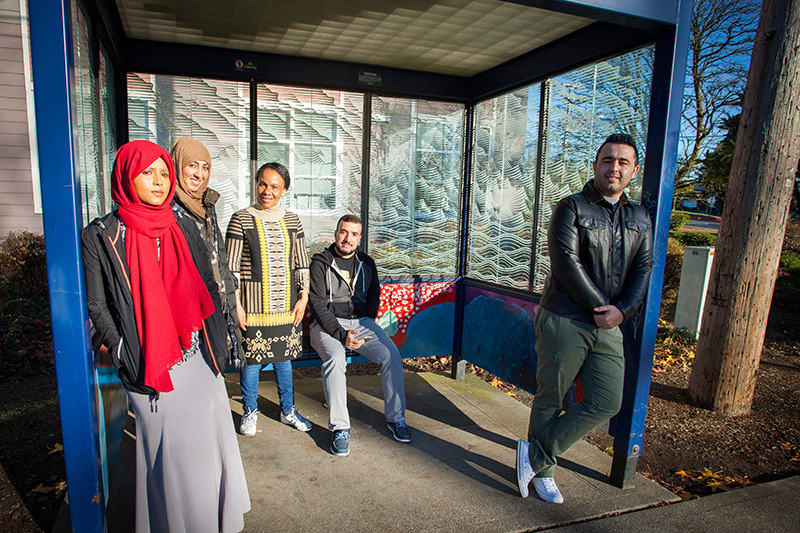 Community Benefit also supported Refugees Northwest by providing transportation funds for medical appointments and job interviews. When Texas, Florida and Puerto Rico were hit by hurricanes Harvey, Irma and Maria, Virginia Mason donated to the Houston Food Bank and provided assistance to nonprofit Direct Relief to help transport much needed emergency supplies to Florida and Puerto Rico.